CVS Caremark (CVS) and Walgreen (WAG) are the leading pharmacy chains in the U.S., each with a strong network of over 7,000 retail stores. While both have been aggressively expanding their retail footprints, there has been a gradual decrease in the average size of the newly opened stores. This is particularly noteworthy given that general merchandise, which by nature demands more retail space, makes up a significant 33% of our $39.55 Trefis price estimate for CVS Caremark's stock and 41% of our $43.73 Trefis price estimate for Walgreen's stock. CVS Caremark and Walgreen earn in excess of two-thirds of their revenues from prescription drugs sales. From the consumer's perspective, the accessibility of those prescriptions is more important than the store size. Hence, pharmacy chains prefer to have more stores in closer proximity to more customers, as opposed to fewer but larger stores. 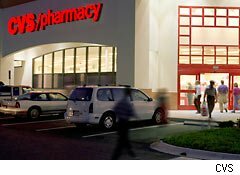 CVS Caremark and Walgreen pharmacies are mostly present in the densely populated regions and urban areas where access to consumers is greater. Densely populated areas command higher rental rates compared to suburban and rural areas, where large retail chains such as Walmart (WMT) and Costco (COST) have a strong presence. The high rental rates help explain why the size of pharmacies is shrinking. But pharmacies also have to sell general merchandise to make up for those high rents, as well as shrinking margins on pharmaceutical drugs. You can drag the graphs above to see the impact of store size on CVS Caremark's and Walgreen's stock price estimate. Since non-pharmacy sales, which are dependent on the store size, contribute more to Walgreen's stock than CVS Caremark's stock, Walgreen is more sensitive to changes in its store size equation than CVS Caremark. While pharmacies will continue to stock general merchandise, going forward we expect them to reduce their dependence on non-drug sales. Hence, the size of their stores is likely to continue decreasing in the future. View our detailed analysis for CVS Caremark and Walgreen here.